May 28 – Blessed Margaret Pole (1473-1541), Countess of Salisbury, Martyr | ADULT CATECHESIS & CHRISTIAN RELIGIOUS LITERACY IN THE ROMAN CATHOLIC TRADITION: hosting ONLY True Christians!! !, or "How to think Catholic!!" 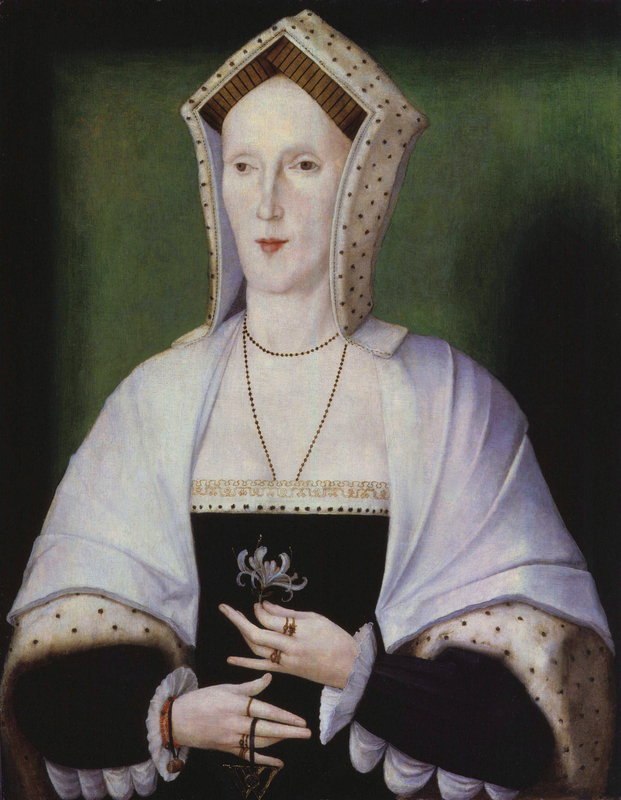 Margaret Pole was born in England in 1473 and was the niece of two English kings. Another king arranged for Margaret to marry Sir Reginald Pole, a friend of the royal family. They had a happy marriage, giving birth to five children: Henry, Reginald, Geoffrey, Arthur, and Ursula. Untimely and homicidal death was a reality of royal English politics and intrigues before, during, and after the time Margaret lived. Brutal, harsh, but real. She was from the Plantagenet royal line, kings who had ruled over England from the 12th to the 15th century. Her grandfather Richard Neville, Earl of Warwick, warrior in the English War of the Roses, which ultimately produced the Tudor line, died on the field of battle. Her father, George, Duke of Clarence, brother of Edward IV, died in the Tower of London in January, 1478. Many other tragedies happened in Margaret’s family due to the central place her family relations held in English royal lines. When Henry VIII, once called by Pope Leo X, “Fidei defensor” – Defender of the Faith, due to his authorship of “Defense of the Seven Sacraments”, which was critical of Martin Luther, broke with Rome and appointed himself head of the Anglican Church in England, so he might divorce Queen Catherine of Aragon and marry Anne Boleyn, Margaret told Henry that he was wrong. Margaret had served as Governess of the Princess, eventually Queen, Mary. The king expelled Margaret from the royal court. He became even angrier when one of Margaret’s sons, Reginald, a cardinal of the Catholic Church and the Archbishop of Canterbury, but who resided outside of England on the European continent, wrote an article denying Henry’s claim to be head of the Church in England. Henry blamed Margaret. He had her arrested. Margaret was seventy years old by this point. Margaret was questioned harshly to prove that she was a traitor, but there was no evidence. She had always been faithful to Jesus and the Church. None of this mattered to Henry. Margaret was sentenced to death. She was imprisoned in the Tower of London for two years, suffering cold and neglect, before being executed by beheading on the morning of May 28, 1541. The character of Lady Salisbury, played by Kate O’Toole in the Showtime series “The Tudors” is loosely inspired by her. Lord, in Whom there is no change or shadow of alteration, You gave courage to Your servant Blessed Margaret Pole. Grant unto us, we beseech You, through her intercession, the grace to always be steadfast in faith. May we be strengthened to serve You in imitation of the courage of Blessed Margaret. We ask this through Jesus Christ, Your Son, Who lives and reigns with You in the unity of the Holy Spirit, forever. Amen. Blessed Margaret Pole, pray for us!